First National 1870 announces its Mega Money Market savings account now offers great rates exclusively for businesses. John Gray has joined First National 1870 as assistant vice president and business banker. 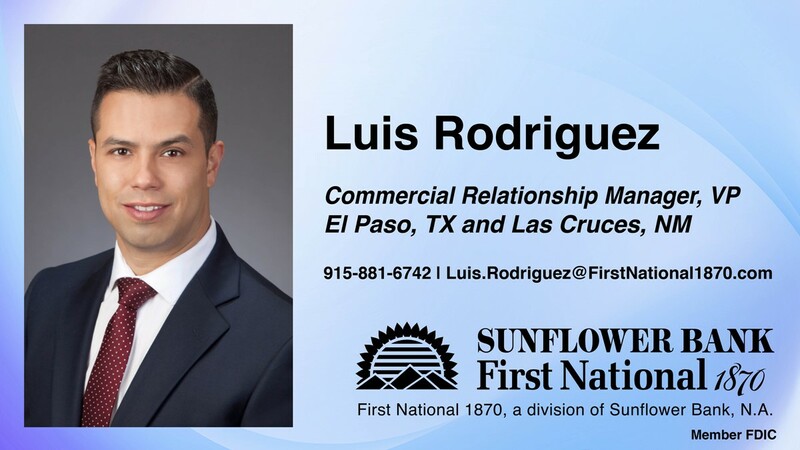 Luis Rodriguez has joined First National 1870 as vice president and commercial relationship manager. 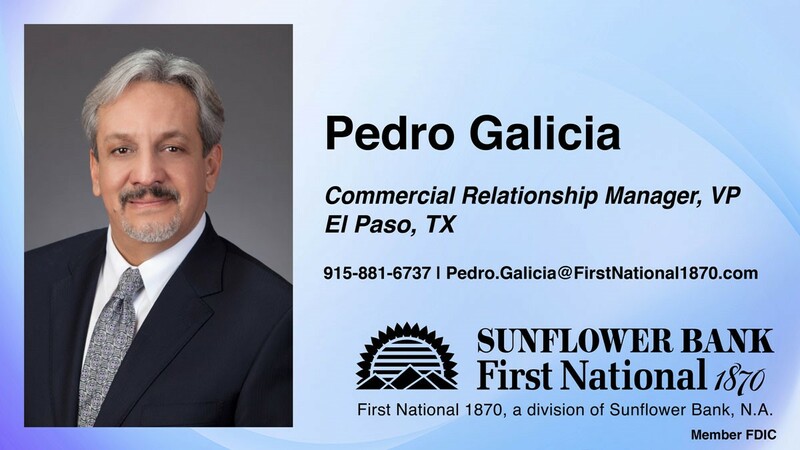 First National 1870 announces that Pedro Galicia has joined First National 1870 in El Paso as vice president and commercial relationship manager.